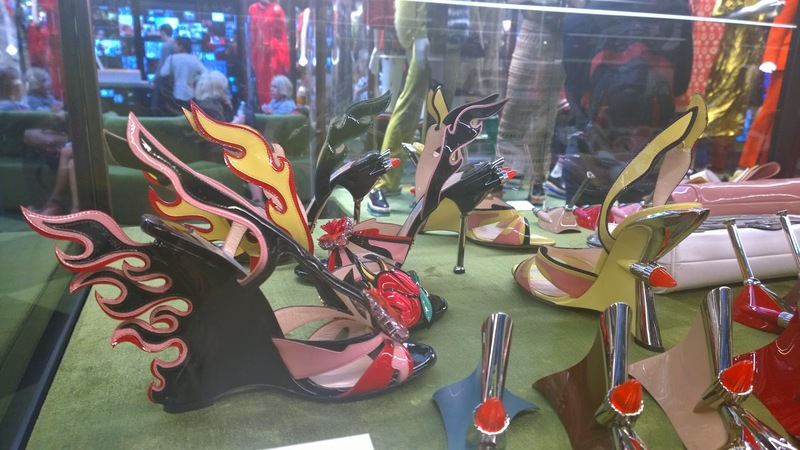 Last week saw the merging of two fashion icons; Harrods and Prada. 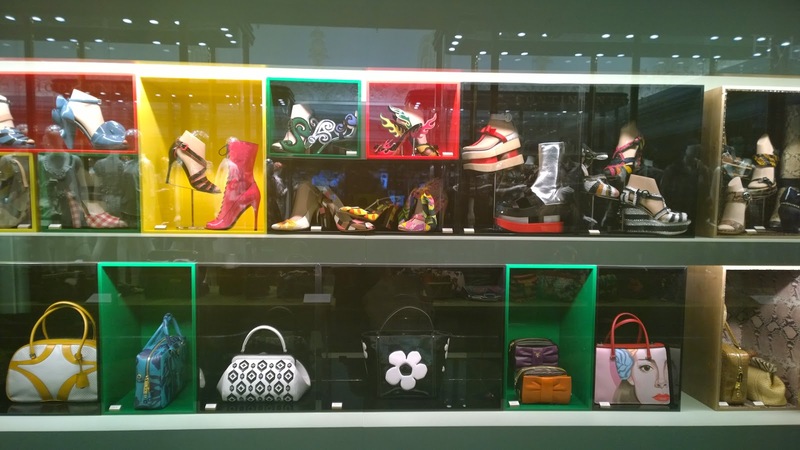 Harrods have curated an incredible retrospective, described by co-curator Michael Rock as a “natural history of Prada”. The exhibition focuses on the last 25 years with Miuccia Prada at the helm, masterminding innovations that have rightfully led to Prada being one of the most iconic, game-changing names in fashion. The exhibition is dominated by six huge vitrines encasing archive pieces divided into different themes, from European culture to masculinity. The exhibition also features a collection of founder Mario Prada’s leather pieces, a mesmerizing video wall featuring snippets from the runway, a cinema room and a collection of limited edition pieces. I was fascinated by the shoe and handbag archives, particularly with the Spring/Summer 2012 Jetson-inspired footwear collection – they’re actually 1950s-inspired but they make me think of the Jetsons, in the best way possible. 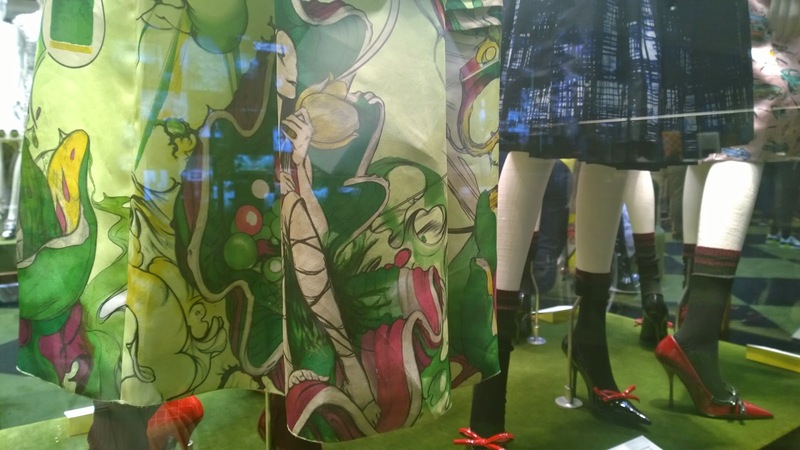 One of the vitrines also featured pieces from the 1960s art-nouveau Spring/Summer 2008 collection. Reminiscent of a fairy dreamland, this is still one of my favourite Prada collections to date. 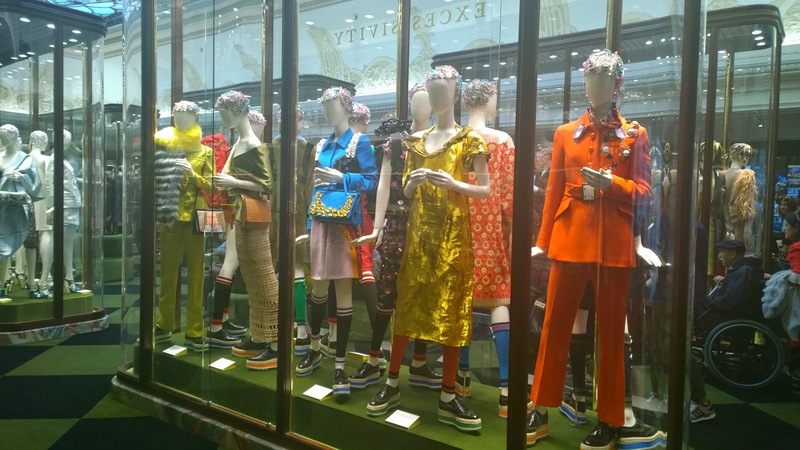 One of the highlights for me was the incredible Marchesi pop-up – Prada have recently invested in famed Milanese bakery Marchesi which has been bought to life in London as part of Pradasphere. 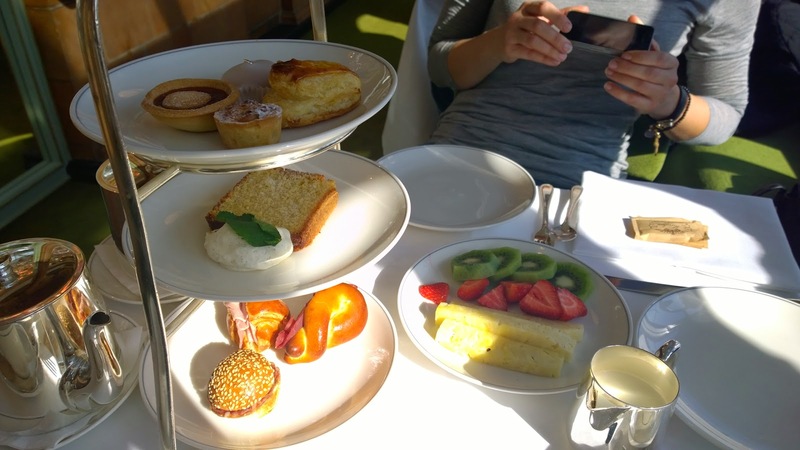 I indulged in a delectable afternoon tea, including delicious sweet and savoury pastries along with a scrumptious polenta cake. The exhibition is on now until 29th May at Harrods.